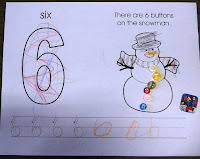 During the month of January we have been adding some new numbers to our book in Pre-K. We have gotten all the way to number 8--numbers 9 and 10 left. 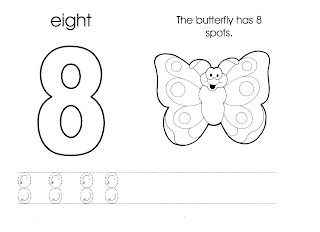 We'll start with six. 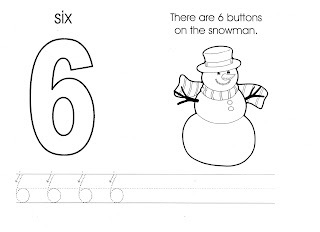 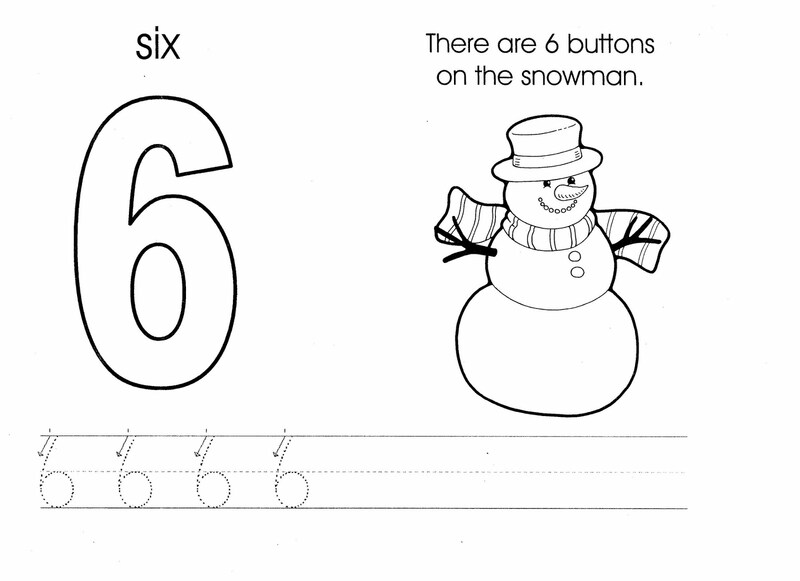 For six we put 6 buttons on a snowman. 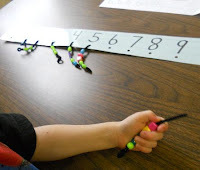 Our last step was to add the beads to our number line. 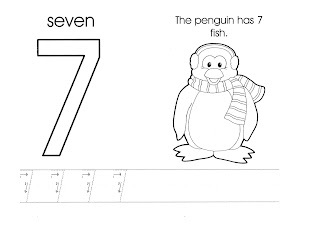 For number seven we gave 7 fish to a penguin. I have lots of fish stickers at school so the children just added 7 fish stickers, colored the paper and wrote their numbers. 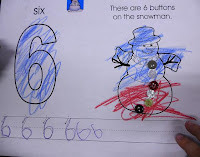 Then we added another row of beads. 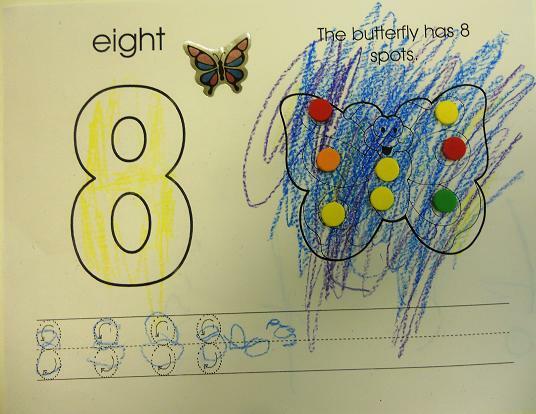 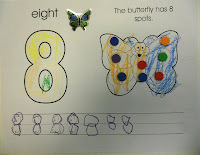 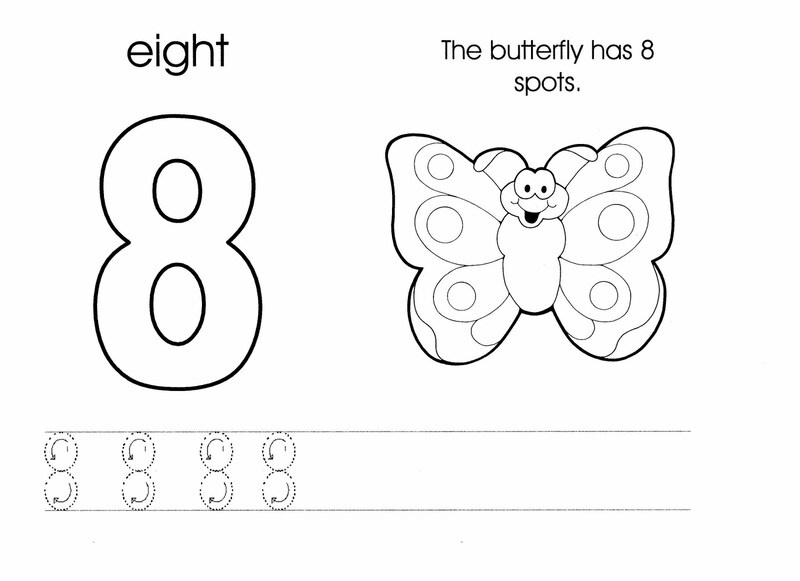 Finally, for number eight we put 8 spots on a butterfly and put eight more beads on the number line. 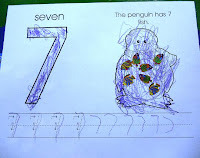 I am very proud of how well the children have been doing with their number books. 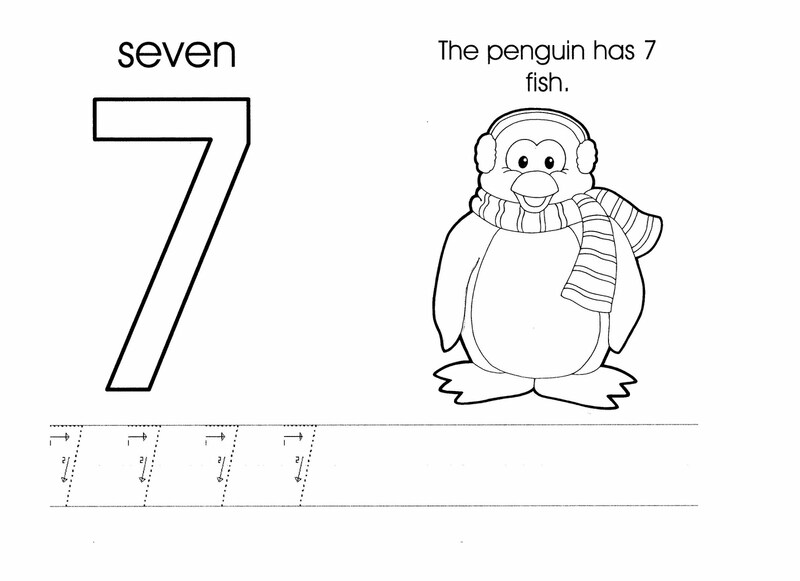 I also think the pages are very cute, if I do say so myself.